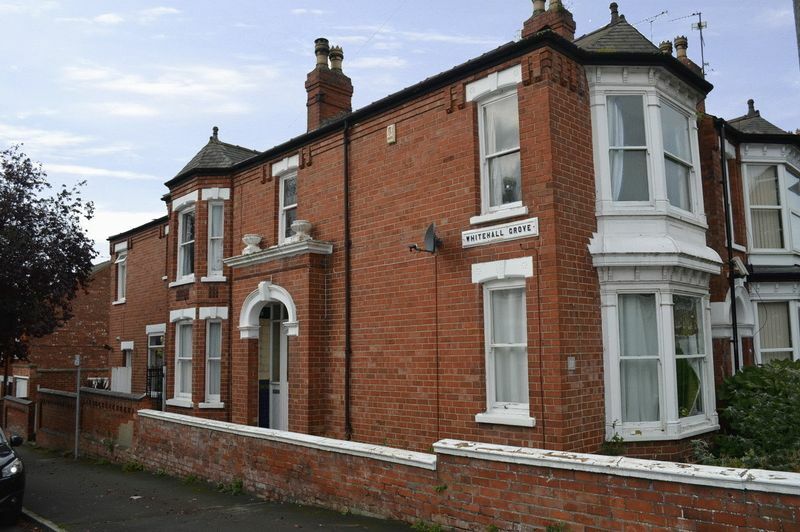 Located in the sought after area of West Parade, this 3 double bedroom end town house boasts 2 reception rooms plus kitchen diner, gas central heating, garage and many original features. 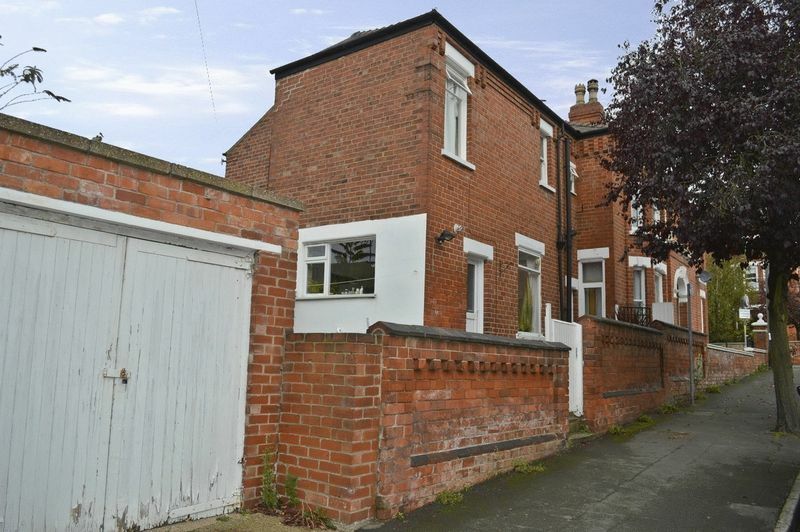 The property is currently let with a monthly income of £750pcm. 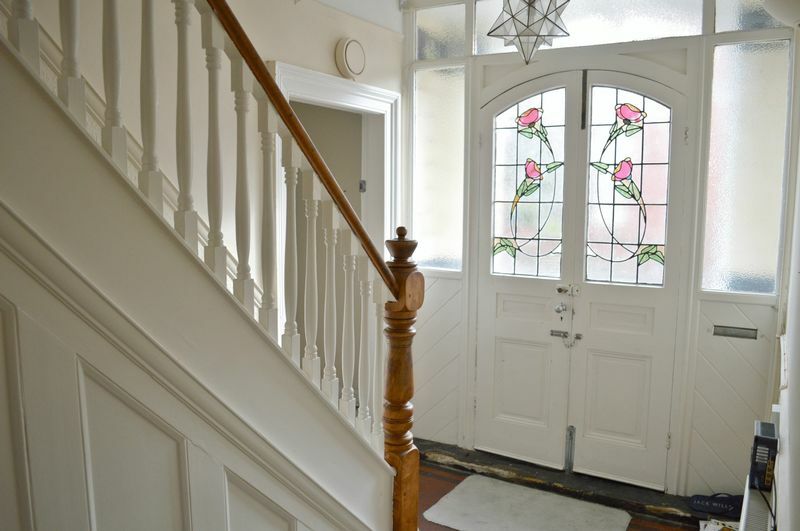 Hardwood double doors with stained glazing, tiled floor, spindled stair case rising to first floor, radiator, dado rail, 2 wall mounted uplighters, under stairs storage cupboard. Ceiling light point, coved ceiling, picture rail, cast iron fireplace with tiled insert and hearth, marble fire surround, exposed wooden floor, bay window to front aspect, window to side aspect, radiator. 3 wall mounted uplighters, picture rail, dado rail, wall mounted thermostat control. 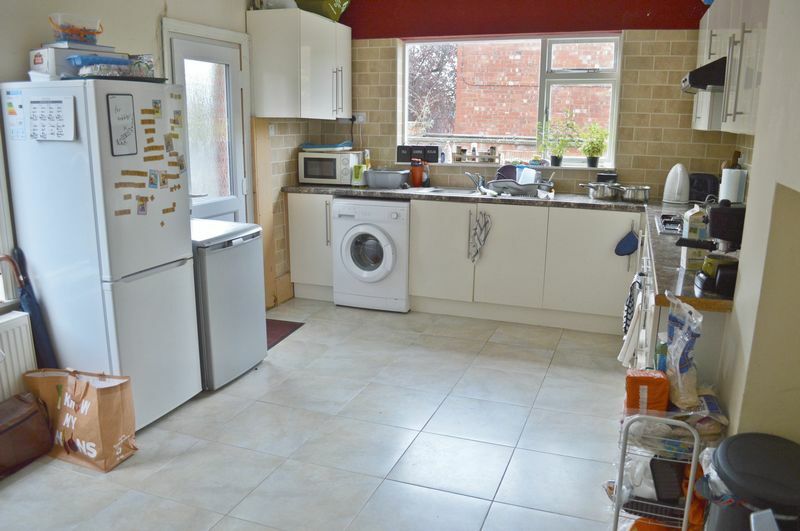 Tiled floor, low level WC, floating wash basin with tiled splashbacks, dado rail, obscure glazed window to side aspect, ceiling light point, tiled floor. 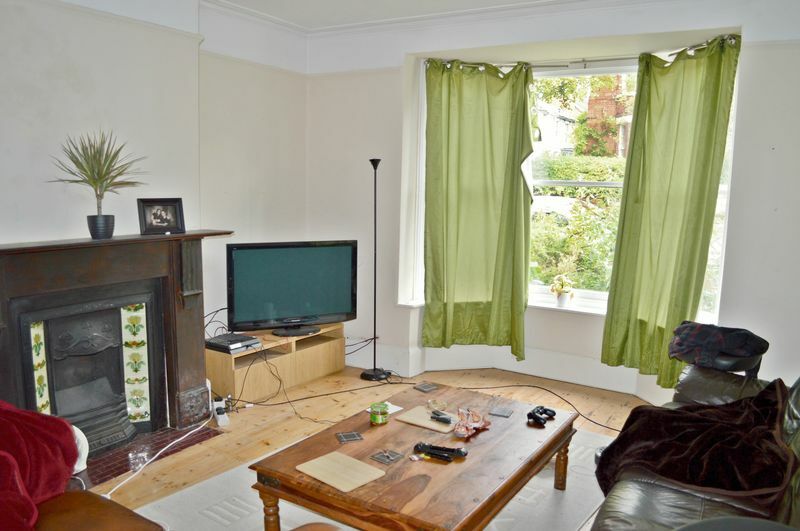 Exposed varnished wooden floor, ceiling light point, picture rail, bay window to side aspect, cast iron fireplace with tiled insert and hearth, built-in display cabinet. Modern base and wall mounted units and drawers with rolled edge work surfaces, tiled splashbacks, stainless steel gas hob with oven beneath and extractor hood over, plumbing for washing machine, stainless steel sink and drainer with mixer tap, windows to rear and side aspects, obscured uPVC double glazed door to side aspect, radiator. 2 ceiling light points, spindled handrail, stained glazed window to side aspect. 17' 6'' x 12' 8'' (5.33m x 3.86m) into bay. Exposed and varnished wooden floor, 2 radiators, ceiling light point, 2 built-in wardrobes, bay window to front aspect, window to side. 12' 11'' x 12' 5'' (3.93m x 3.78m) into bay. Ceiling light point, exposed and varnished wooden floor, bay window to side aspect, picture rail, drop cord safety switch, radiator. 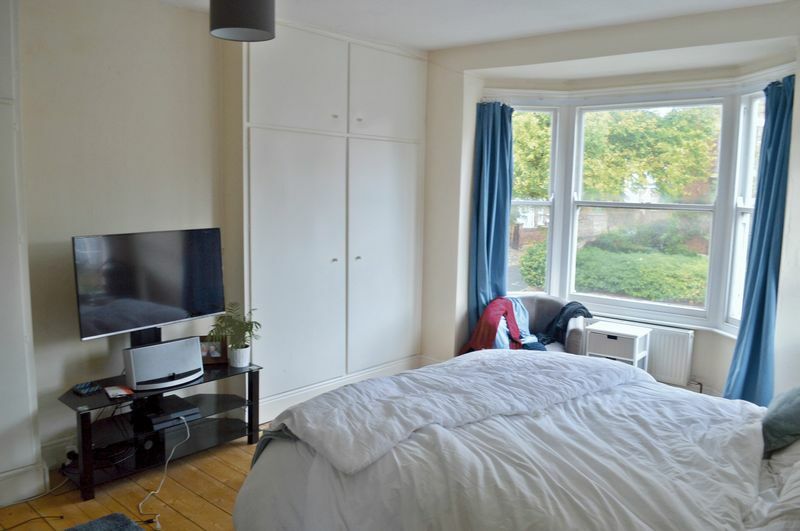 3 piece suite comprising panelled bath with shower and screen over, pedestal wash basin, low level WC, tiling to all walls and floor, radiator, 2 windows to side aspect, ceiling light point, drop cord safety switch, built-in airing cupboard. Window to side aspect, picture rail, ceiling light point, radiator, exposed and varnished wooden floor. Ironwork gate with path leading to side. Patio area with pedestrian gate access. Single garage with personnel door to side.